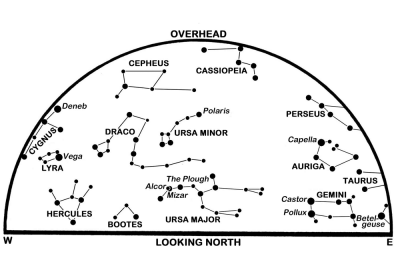 Our recent talk on HOYS-CAPS showed that there are still astronomy projects that amateurs really can contribute to. 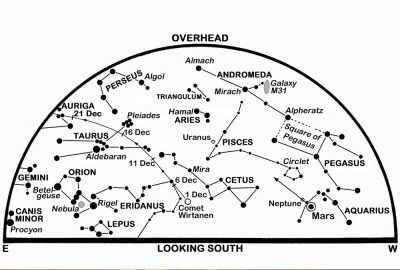 Periodic comet 46P/Wirtanen could be a naked eye object in December, rising above the Edinburgh horizon to provide an interesting Winter spectacle. 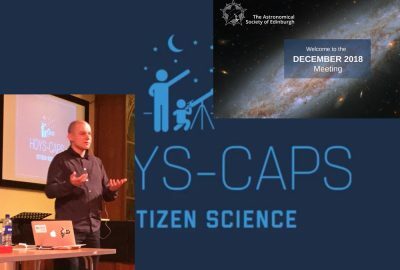 Dr Aleks Scholz from the University of St Andrews gave a fascinating talk on the HOYS-CAPS citizen science project, explaining how amateurs can get involved. 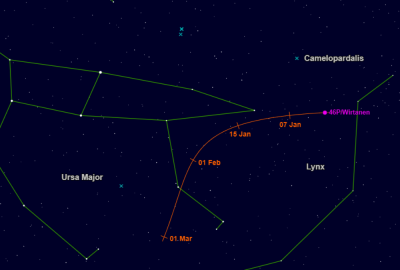 The reliable Geminids peak on the night of 13/14 December and the Moon conveniently makes way for them. 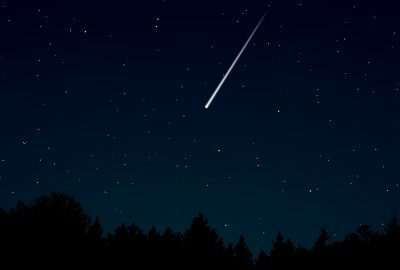 We can expect rates of up to 50 meteors per hour. 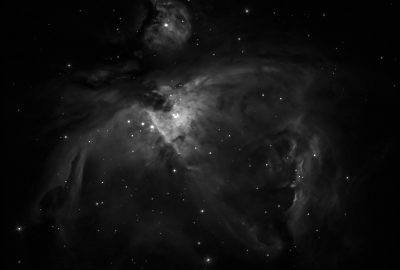 You can now find the latest Scotland Sky Diary for December by Alan Pickup in the ASE Journal. Which one to buy for your first one or as a present for Christmas? 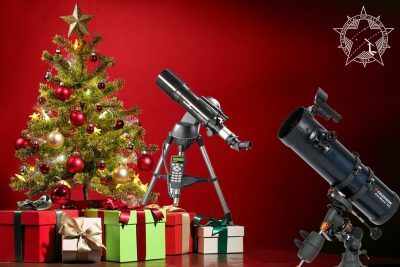 You'll get as many answers as there are telescopes but here are some ideas. Various members of the Society have been out and about recently sharing the wonders of the Universe with young people. 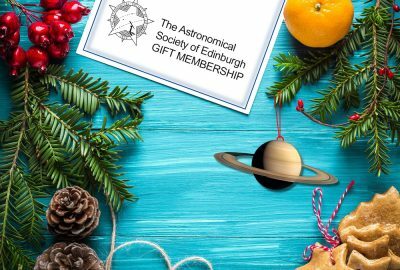 We've been asked for a few Gift memberships recently so we thought we would offer them as part of our membership options. 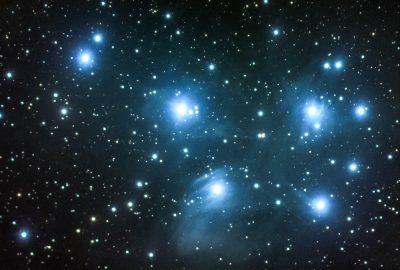 When the Pleiades rise you know Winter's almost here. 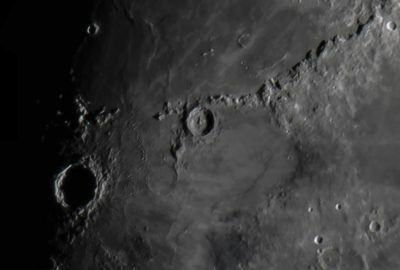 Easy to observe but sometimes a little tricky to image well. 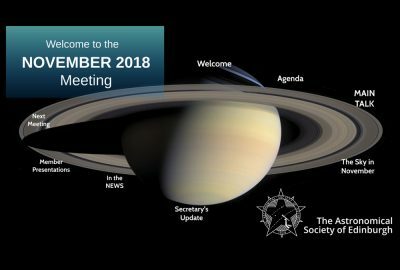 Dr Alan Penny of the University of St Andrews gave a talk on METI: Messaging to Extraterretrial Intelligence at our November 2018 meeting. You can now find the latest Scotland Sky Diary for November by Alan Pickup in the ASE Journal. 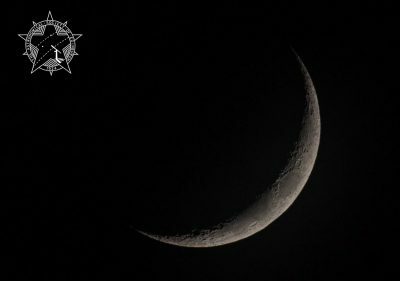 The Moon is around for a good portion of every month so why not make the most of it. The Lunar 100 is to the Moon what the Messier catalogue is to deep sky objects. 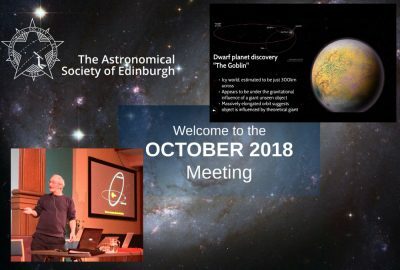 An interesting talk on meteor observing and recording by Alex Pratt of the BAA kicked off our October meeting last night in Edinburgh. If you're visiting our site as a result of meeting us at the ROE Doors Open days then this post is for you. 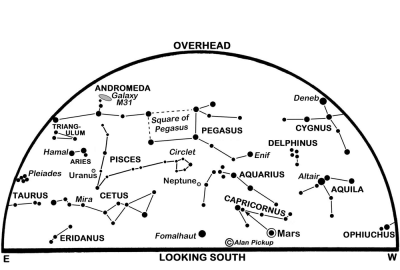 You can now find the latest Scotland Sky Diary for October by Alan Pickup in the ASE Journal. 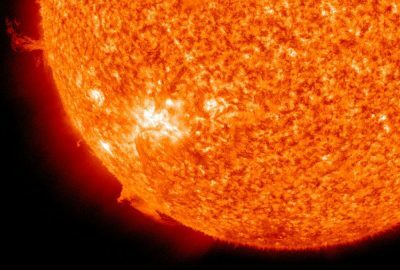 (c) to increase popular interest in astronomy.